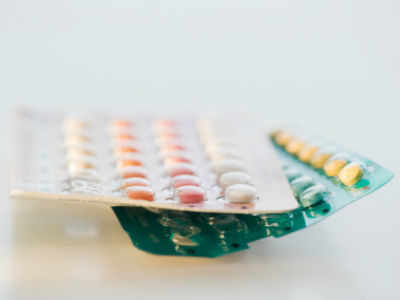 Contraceptive pills from Bangladesh are being smuggled in large quantity to Assam’s Dhubri district which is located close to the international border. Dhubri, like many other areas in the country which share a border with Bangladesh, has long been a haven for smuggled products including food items, clothes, accessories and medicines. Now, this includes an oral contraceptive pill called ‘sukhi’. Bangladesh, which has a robust family-planning programme, distributes ‘sukhi’ pills for free which have also made their way across the border to Dhubri. “As far as I know, ‘sukhi’ has been popular since the past seven or eight years. The pill is extensively promoted in Bangladesh. In Dhubri, Mankachar, and other border areas, the use of ‘sukhi’ is very common. I do not know of its efficacy but people in these places seem to believe it works,” said Illias Ali, nodal officer of the no-scalpel vasectomy (NSV) programme in Assam. The NSV falls under the family-planning segment of the National Health Mission. What works in ‘sukhi’s favour is its price. The pills are sold for Rs 10 per strip of 10 pills. This makes it much cheaper than Indian contraceptive pills like the I-Pill, which costs around Rs 75. The invasion of smuggled oral contraceptive pills has caught the administration napping but health experts say they are aware of the popularity of ‘sukhi’. They add that the government’s free contraceptive pills often fail to reach these remote border villages, pushing women to depend on ‘sukhi’ which is much more easily available. Experts warn against rampant consumption of these pills whose side-effects are not known. “I have been hearing about the popularity of ‘sukhi’ for a while. I think steps need to be taken to stop its use. Once I head back to Dhubri, I will raise the issue with the deputy commissioner,” said Imdad Ullah, joint director, health, Dhubri. Even though the district’s Total Fertility Rate has been on the decline since 2009, according to the 2011 census report, it was the second-most populous district in Assam with a population of 19,49,258. “There needs to be proper investigation on the composition of ‘sukhi’. The drug controller authorities need to know about it. Users of ‘sukhi’ need to be interviewed to understand the pill and its effects,” said Subhendu Buzarbaruah, a gynaecologist.